On July 26, 2015 the Dominicans of Avrille released a statement regarding attendance at the New Mass. 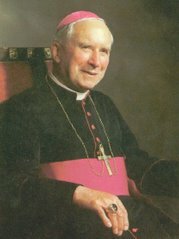 The statement is consistent with Archbishop Lefebvre’s SSPX. Excellent! The next queston to be answered is in regards to attendance at a Traditional Mass offered by an Ecclesia Dei priest or a priest who makes use of Summorum Pontificum. Stay tuned.